There are so many Colleges in the USA. To get an admission call from a Top 100 University, you will need a decent GRE score and at least an average GPA. 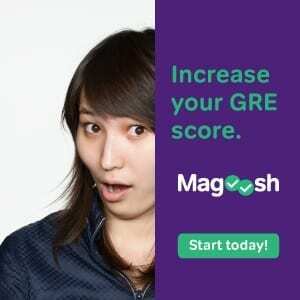 See What is a good GRE score? Your overall profile should be good, so if you are lucky then there is also a chance of landing a scholarship and assistantship too. 1.22.1 Follow Us on Facebook! There is a very good chance of getting a scholarship or assistantship if your overall profile is better than the average class profile of a university. This is one of the best colleges for those with an Electrical and Computer background. With a normal GRE score and profile, one can get admitted to this college. Jobs are not a problem here because it is in Chicago. If you have score around 300-310, you can certainly pin it down on your list. 🙂 Fun Fact : Chicago’s Metro Rail passes right through the campus. 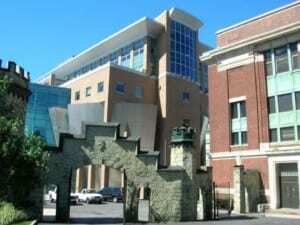 Students with average profiles have this university on their lists. 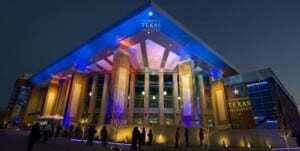 UTA is tier-2 university, preferred very much by the Asian and Indian students. It is known for its Telecom courses and Electrical Engineering. UTA is affordable and provides financial aid and high acceptance rate. 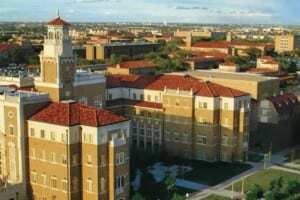 Texas tech is a large research institution in the college town of Lubbock. Lubbock is pretty much dull institute but Dallas is few km away. One can get in this university if you have 298+ in GRE. A small but famous college, MSU is a popular destination for graduate studies because of its low fees and cheaper living expense. 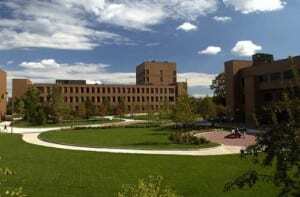 Wayne State University is an acceptable option, but far from stand-out. Students have good opportunities to conduct research in Michigan state university and the University of Michigan. Detroit is big city and a major hub of business. Therefore, it is not that hard to find jobs. If you have a GRE score around 300, you can get i20 from this university. 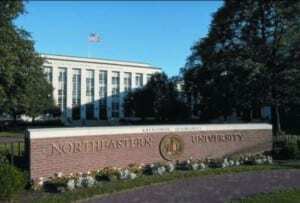 Northeastern University is a good place to pursue engineering and has a wonderful campus. Even if the winter becomes quite cold, Boston is a fantastic city to live in. There is no doubt that plenty of jobs can be found here. This is one of the affordable universities in the U.S. SUNY is a place for students with average profiles. Campus is very good, fees are average, and jobs are also good. It is few hours from New York, so don’t worry about jobs. KSU is an affordable institute with average GRE scores. It provides an excellent education and notable athletic teams. If you have GRE scores of 300+ and a good academic base, you will surely gain admission to this one. OSU is preferred by many students who have average profiles. 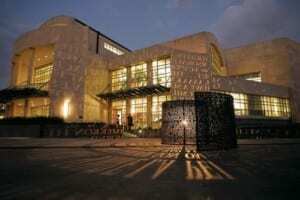 OSU is one of the best colleges in Oklahoma state, it has very good libraries and research facilities. Oklahoma city is just about an hour drive away. 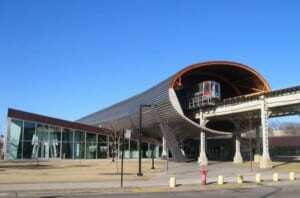 Stevens Institute of Technology is a very small campus and offers good courses in Engineering and Technology. It has very high tuition fees, and living expense are also very high. New York City is very near SIT. 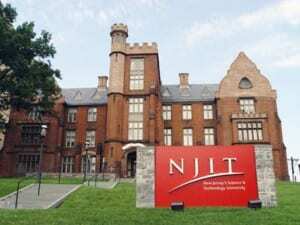 This place is very good for Asian students because you can find so many Indian and Asian students in NJIT. It offers very good engineering courses. Fees are low, but living expense are high. Campus is about half hour ride from New York City. 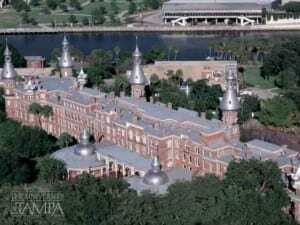 With low tuition fees, UIT is a small campus in the city of Tampa. It offers good courses and quality facilities. The campus lies right at the center of Tampa city, so you don’t have to worry much about landing jobs. This University is beloved among students with average profiles. 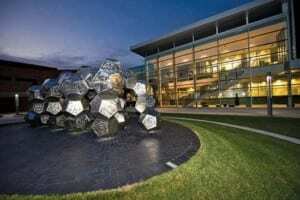 University of Houston is a great place to study Engineering. Campus is small, but it is in middle of the Houston city. RIT is a great place to be if you are looking to pursue engineering. It has huge, beautiful campus. Rochester is pretty close to Niagara Falls, and NYC is the only huge city close by. Because it is near to New York City, the job outlooks is very good. 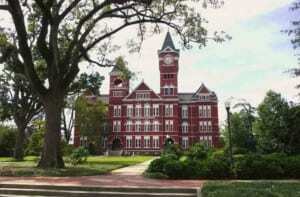 In the vicinity of Atlanta, Georgia, Auburn is a public university. It has very large campus. Auburn, Alabama has been ranked one of the best places to live, and life at Auburn University can be similarly enjoyable for students. 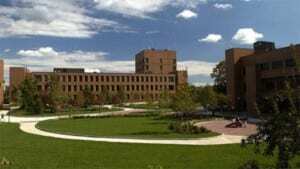 One of the affordable University in the U.S., Wright State University is a small campus in Dayton, Ohio. It has decent courses in Engineering and accepts almost everyone who applies to it. So if your GRE score is anywhere near 300, WSU is safe for you. Dayton is pretty much a dull place, but some big cities are just an hour away. To all the CS students, I strongly recommend this school because it is in California. CS students will land very good jobs from this university, which has excellent faculty. You will see lots of Asian students in this university. If you are from CS, and your GRE score is around 300, then you will surely get a letter of admission from this university. The chief problem is you won’t get admitted to the CS department, but one can get admitted from Software Engineering. 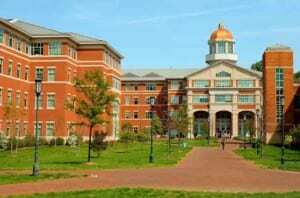 UNCC is one of the best colleges in the United States. If you have a score above 305 on the GRE, then you should surely consider this college on your list. It has very good faculty and job opportunities are also good. 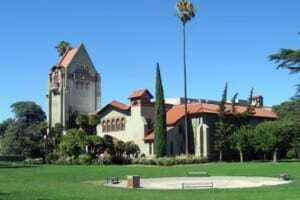 San Diego State University is one of the top colleges in California. With GRE scores around 300 and good academic standing, one can surely get admitted to this university. Even though it is in California, jobs are not as good as at San Jose, but if you are a CS student, do not worry about jobs in California. If you can’t find some of your favorite schools on our lists, then please let us know, and we will be happy to help. Also, check out this free online GRE practice test. Could you please suggest good universities near Bluebell Pennysylvania ? 3.5years of work experience in mechanical industry..
which universities are good for mechanical engineering in california with better job prospects..
Could you help me select Universities based on my profile? Area of Interest: Computer Science. Can you please mention list of universities . can u suggest me some best universities for these scores?? I have been an academic university topper during UG. Will you please suggest few universities which i can apply? hi sir, my gre score is 308 and toefl 85 1 paper published in international journal and 1.3 years of experience .industrial training in 2 industries and 65.5 aggregate in instrumentation and control engineering.(b.tech). what colleges can i opt for? Kindly provide names of Universities that I can apply with scholarships? Can you please suggest universities to apply for a score of 153 quant and 157 verbal? im planning to apply for phd programs in biology. I am an Indian student enrolled in Master of Science in Chemistry in IIT. I have done two summer internships at prestigious institutes in India, a one year undergraduate innovation project and currently I am doing research as a part of my Masters thesis. My BSc percentage was 90% and my current GPA is 9.43. I can arrange for good LORs. But my GRE score is making my application bad, I got 150 in verbal and 159 in quant. What are the chances of getting a good university in US? Try Wayne, NJIT, UTAr, Wichita, Pomona. Hello please am an international student and I would like to apply for a masters degree program in any tuition free or missionary univeristies in USA but my CGPA is 2.66, how can I get admitted and can your forward me universities that will admmit me if at all I go for the GRE and Tofel exams and I pass. which university can i get admit with an scholarship,plz tell me. HI, my GRE score is 300 (verbal 144 and quant 156), TOEFL 78 and cgpa of 8.35/10 in BE Mechanical Engineering. Please suggest me some good universities for MS in mechanical engineering with better job opportunities and scholarship assistances. Please help me by evaluating my profile and suggests me safe, mod and ambi universities..
Planning for Fall 17 admit..
Certifications: 5 International certifications,2 national level certifications and prizes in national level techfests. 6 months internship with an Austrian company as Software debugger and tester intern. I have a GRE socre of 303 and my TOEFL score is 78. I actually read something called as conditional admit. What is that can Anybody help me out with that? Gre score -311,Toefl yet to give.Have 4.2 experience in IT firm.Which MIS colleges should i apply with decent fee structure? Even I am looking for Universities. My GRE score is 310, IELTS 7 and have over 4.5 years of Exp in IT. I did go for counseling and hence would like to know if you have any list of colleges ? I can also share the suggestions I received on colleges if you like. Thanks. Can you please suggest me some good universities for GRE score 306 (152V+154Q) TOEFL awaiting and 78% academics in BE and 2.5 years of experience in MNC. My CGPA is 8.06 and have completed engineering in Information Technology fro BIT Mesra and have 1 year experience. If I will manage to score GRE and 100 in Toefel ,then which college I should try for doing MS in CSE in US? My Gre Score is 296 with AWA 2 and i want to pursue MS in Electrical and Computer engineering ? Will i get admit in USA? The scaling u mentioned is the old way of comparing GRE scores i.e. before 2011 …. Now a days the scoring technique is changed…. Try checking ur score according to the university…. I m doing my be in mechanical..can i do ms in computer science..? ?is it possible to change major..?? My Toefl score is 92. Gre 300. I have 70% overall in my undergrad. Will I be able to get into UTA or SJSU, with a fairly good SOP? I also will have two years of experience when I’m about to join college for post grad. If you don’t scholarship, yes there is good possibility of admission. I want to do ms in industrial engineering my gre score is 311(q-163/v-148) i have completed BE in mechanical with aggregate percentage of 72%..Any suggestions which colleges i can apply to??? Great Information… I really liked it..Can u please suggest some good universities for my profile for MS in MIS : GRE- 300;Toefl-85 ; With 1 year of exp ? Sir my GRE Score is 305 and I am looking for MS in Mechanical Engg. I have received admits from RIT and TAMU Kingsville. Please suggest if I should apply for some more universities. I have same profile as you. got rejects from lb, sfsu and fullerton. now you decide. Is anyone can evaluate my profile and let me know which universities I will get . My GRE is 299 (Quant: 154 & Verbal 145) & TOEFL 91 & UG 70%. 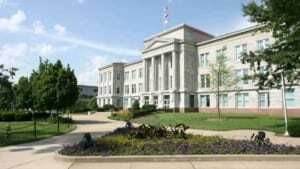 Pl suggest me possible US universities for MS in Mechanical Engineering withe potetial good job prespects. Hi my Gre score is 305 more than a year of experience 3.34 GPA according to wes, i want to apply in san jose university which course should i go for MS in Cs or Software Engg. , would CS be considered as a safe choice? HI, this is very informative, thank you. Can you please suggest me universities for GRE score 301(Quant 157, Verbal 144 and AWA 4) with TOEFL score 88. I am looking for some scholarship from the universities and part time job and also a job at the end of my career. hey Hema, my profile matches yours , it would be so generous of u if u could tell me what universities you filled in? My gre score:306 and Toefl::87. Can I apply for University of Houston, University of maryland,baltimore and Oklahoma state University? I heard the course work in University of texas, arlington will take more than 2 yrs. Is it true? MY score is 303 q 162 and e 141 and awa 3 my ielts is 6 and written one more expected this time 6.5 definitely.. i want to join in electronics my percentage is 78.5 can u suggest me good universties for education and job purpose both.. in future its better to have great scope there.. I have Experience of 1 year. San diego state/San Jose state/ cal state LA are they good for industrial students. Job oppurtunities for industrial students in california?? which state is good for engg mgmt students? ?or even telecom mgmt/telecom engg? which university can I apply with low tuition fees and affordable living cost? In terms of funding in computer science and job opportunities after graduating from there…. Hey, what about northern illinois university? I have got admits for NIU & UIS. Any insight on which one to consider? I think UIS will be better than NIU. 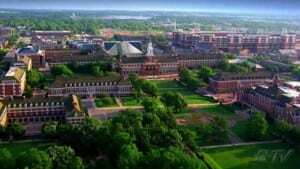 You should consider University of Illinois,springfield. Sir my gee is 300,158 quant, toefl is 79, please help me regarding my chances in all the above universities for ms in vs. I want to know about colleges in US providing Scholarship in Biomedical physics in PhD level …. Very Informative . 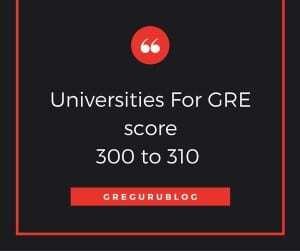 Can you plz suggest universities for score 320+ and which have good research opportunities. Most of the university will accept TOEFL score 80+ and IELTS 6.5 or above . Some University of California ask for 7 bands in IELTS. Could you suggest me universities with GRE 302(Q-160 and V-142) MS in EE. My previous records are good. Really informative. I need informations regard pharma field having Gre score in the range: 305-310. May I know based on which program (computer science/mechanical engg/electrical engg) is this list based on? Because different programs are ranked differently within the same university. tution fees metioned above is for per annum or for the complete course?? This article is really informative. After I read this article, I could easily make a list of universities for myself. Looking forward to more blogs like this.! !